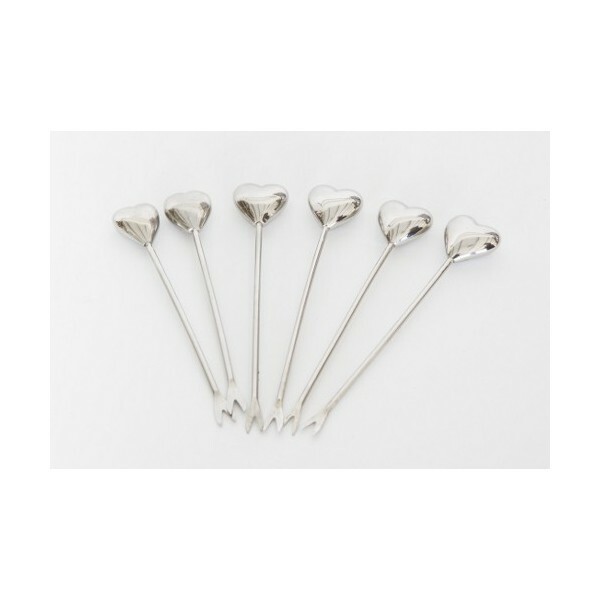 Beautiful set of heart shaped 6 stainless steel canape picks. 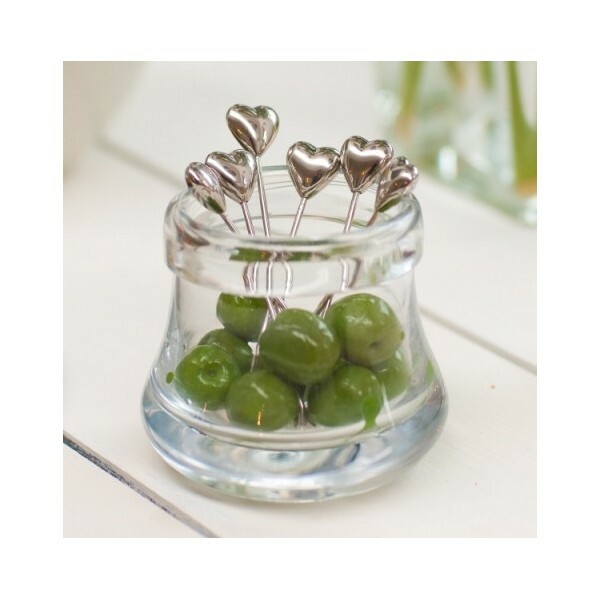 Boxed for easy storage and giving as a present, these stunning little unusual canape/olive picks are the ideal gift for the person who has everything. 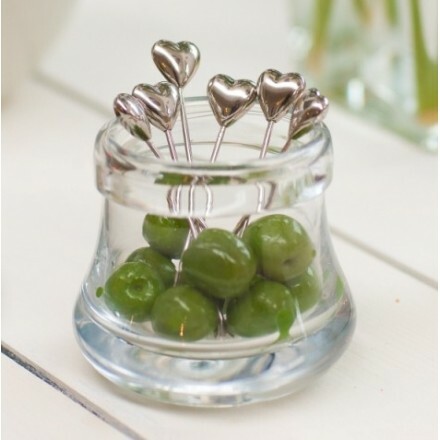 Made from solid stainless steel with heart detail. Perfect for drinks parties, adding style to get togethers.